Nitrogen deficiency is a common plant disorder in poor soils or after excessive winter rain. 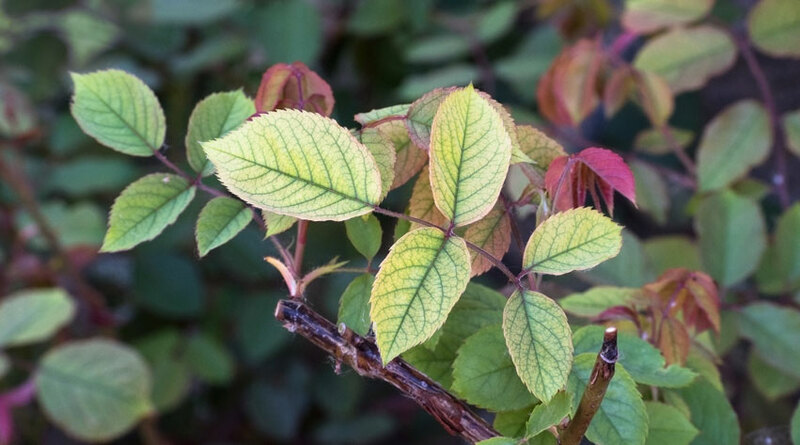 It results in yellow or yellowing leaves and spindly or stunted growth. Nitrogen (N) is one of the macronutrients, needed by plants in relatively large amounts, and is important in the production of chlorophyll – the green leaf pigment that absorbs sunlight. It helps promote strong, green, leafy growth, so a deficiency results in yellowing leaves (chlorosis) and stunted growth. Nitrogen deficiency is caused when there are insufficient suitable nitrogen-containing materials in the growing medium (soil or compost). It can also be caused when plants are growing in dry soil, which prevents the roots taking up the nitrogen from the soil. As nitrogen is very water soluble, it is easily washed out of the soil or compost by excessive rainfall or overwatering, leading to a deficiency. Shortages are worse on light, sandy soils that drain quickly and contain little organic matter to hold on to the nitrogen. To check if your soil is short of nitrogen, you can use a simple soil-testing kit. Keep soil nitrogen levels topped up by feeding with a balanced fertiliser, such as Growmore (NPK: 7-7-7), especially in spring after winter rains leach nitrogen from the soil. Where soil levels are very low, feeding with a specific high nitrogen fertiliser – such as sulphate of ammonia or poultry manure – may be a more effective choice. Grow plants as well as possible, so they never go short of water. The soil or compost should be kept consistently moist, never allowing it to dry out, without cycles of drying out followed by overwatering. Make sure soils contain lots of bulky organic matter to hold soil moisture and nutrients. This is particularly important on light, sandy soils, which drain quickly. Covering the soil with a 5-7.5cm (2-3in) thick mulch will help conserve moisture. Using well-rotted manure or garden compost may also help provide a small but steady supply of nitrogen. Foliar feeding with a suitable liquid fertiliser is a good way to get nitrogen into the plant quickly. Sowing green manure crops in summer or early autumn is particularly useful in vegetable gardens and allotments, or other areas of bare soil. These cover the soil over winter and help prevent nitrogen leaching out. Leguminous green manures, such as winter tares, will also fix atmospheric nitrogen in their roots, which is released when they are dug in. “Raw” organic matter with a high carbon content, such as wood shreddings or sawdust, shouldn’t be added directly to soils. Soil microorganisms use soil nitrogen to break down these materials, robbing it from the soil and making it unavailable to plants.